Our writing exercise this morning consisted of using an object from a collection given to us to craft a character in a scene. 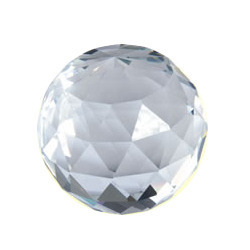 My object was a small crystal paperweight, with multiple surfaces, giving a prismatic effect when viewed through, seeing multiple presentations of the viewed object. Her breathing beats the rhythm of its rant. and cries herself to peace.